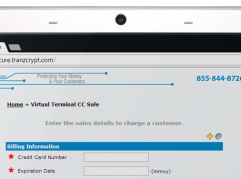 The Tranzcrypt.com Payment Gateway is an online processing gateway built from day one to be a better gateway, one that is simpler for any merchant to use, has better features, and is much easier to support for the developer. It has features and functionality that are years ahead of competing gateways. But most importantly what sets it apart from Authorize.net and PayPal is the expert one on one integration and customer support that only Tranzcrypt.com offers. If you are a web or software developer who has worked with Authorize.net or PayPal you will know that it is nearly impossible to get answers to a problem if you are not the merchant, if you can get a hold of a human operator at all. Most of the time you probably don’t waste your time with trying to contact PayPal or Authorize.net directly and look for solutions by searching for answers in user forums and 3rd party websites. Have you ever wondered why Authorize.net and PayPal are used more that any other online payment processing solution? The answer is very simple, it is not because they have a better product or service, or that they are any easier to use, or that they are any less expensive, it is that they were the first solutions to market. Does PayPal or Authorize.net pay you? Tranzcrypt.com does, we don’t just pay you a one time referral fee. We partner with you giving you the freedom to price the gateway the way you would like and you make all the revenue above our competitive buy rates. Use our system to automatically bill your clients and we pay you monthly on the volume going through your network. So now you are not just getting payed to integrate a payment gateway for your client’s project. You are getting payed on the transactions they process too. You are spending less time integrating and trouble shooting, and you are making more money. It is a Win Win Win.